Earlier today, the first preview of Meteor Garden 2018 was released making fans all over the world even more excited. The upcoming TV remake of the hit Taiwanese drama Meteor Garden is one of the most widely anticipated series this year. In the Philippines, ABS-CBN secured the rights to air the remake. It was also the Kapamilya Network that aired the original version of the show back in 2003. The preview generated more than 40,000 reactions and another 40,000 for shares as of this writing. The video also reached more than 500,000 views in less than 24 hours. Fans are generally positive about the remake. 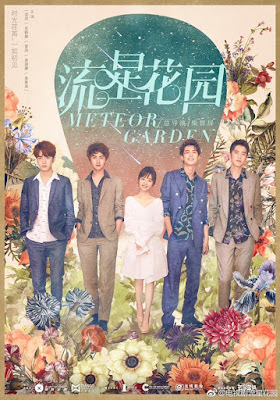 While some still feel that nothing beats the original, it looks like they're still going to support Meteor Garden 2018. Are you a Meteor Garden fan? What are your thoughts about the first preview? Share it with us in the comment section.